This chapter provides guidelines for the consideration of medication treatment in very young children. 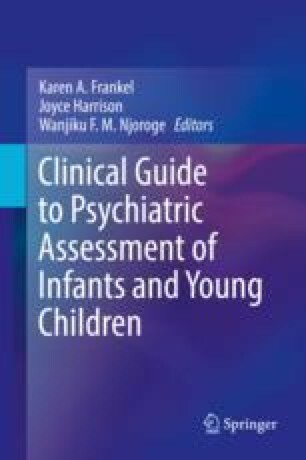 It describes the careful assessment required, as well as the need to consider factors affecting the clinical context including access to care, rapid development, parent, child, and clinician attributes, and the limited evidence base. Prescribing practices and the evidence base to date for both pharmacologic and nonpharmacologic interventions are briefly reviewed. Diagnosis-Specific Approaches and Treatment Recommendations for Attention-Deficit Hyperactivity Disorder, Autism Spectrum Disorder, Anxiety, Posttraumatic Stress Disorder, Disorder of Dysregulated Anger and Aggression, Depression and Mood Problems, and Sleep Problems are Included.